Room one is bright and cheerful and features a queen-size bed, bathroom with tub/shower combination, hair dryer, and window air-conditioning (in the summer). The hummingbird theme adds a bit of whimsy to the room. The freshly updated room two features a king-size bed, a newly renovated bathroom with a bathtub and shower combination, hair dryer, and window air-conditioner (in the summer). 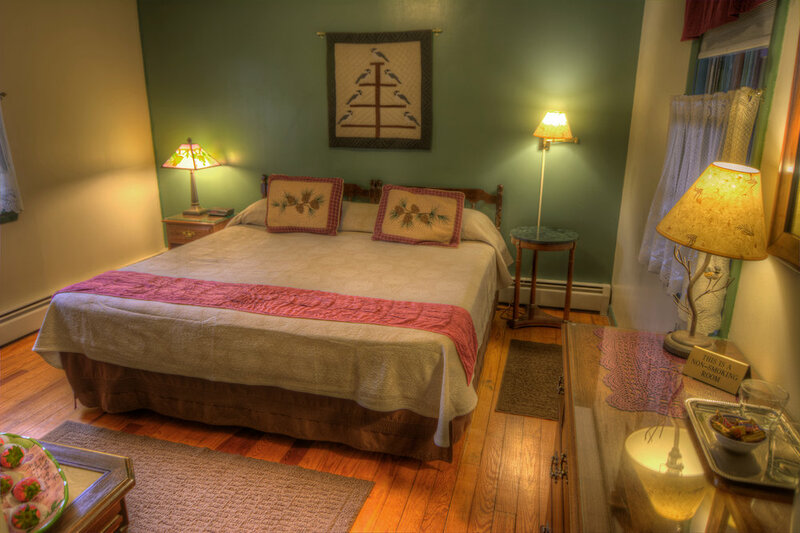 Room three features a full and a twin bed (perfect for families or friends), a completely renovated bathroom with a tub/shower combination, hair dryer, and window air-conditioner (in the summer). Room four features a full and a twin bed (perfect for families or friends), an updated bath with a tub/shower combination, hair dryer, and window air-conditioner (in the summer). 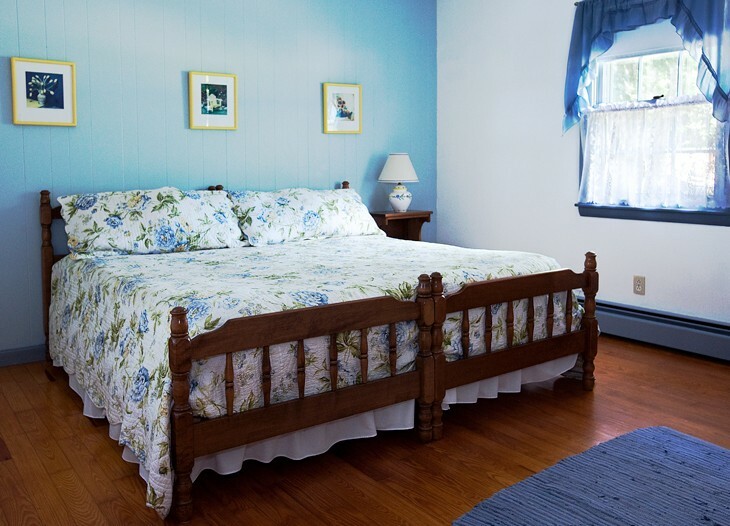 The bright and cheery room five features a king size bed, an updated bathroom with bathtub & shower combination, hair dryer, and a window air-conditioner (in the summer). The decor in room six is highlighted by an Amish chickadee-themed wall-hanging. The room features a king-size bed, an updated bathroom with a tub/shower combination, hair dryer, and window air-conditioner (in the summer). Families are welcomed at the Alamoosook Lakeside Inn. There is no Life Guard on duty. Guests swim at your own risk. Children are not allowed to enter the water without adult supervision. We allow pets in Garden & Loon Rooms. $15.00 pet fee per pet per night. Pet friendly rooms must be requested by contacting the property owners directly. If you find it necessary to change or cancel your reservation, we will refund your deposit if cancellation is made more than 14 days before your arrival date. Cancellations made less than 14 days from the arrival date will be charged in full. If you have made your reservation using an online reservation service such as Booking.com or Expedia, you must contact them directly to cancel or make changes to the reservation. Our entire building is designated non-smoking. If you have any dietary restrictions, please let us know 48 hours before arrival date.